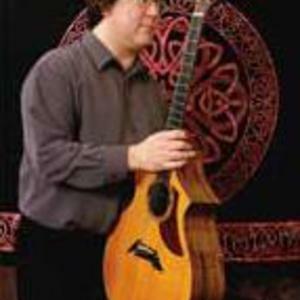 Kevin Hiatt (born 1956) grew up in Kansas City, attended the Conservatory of Music and later earned a doctorate in Music Composition from the University of Miami. He has written over 80 works of music including chamber music, electronic music, and orchestral pieces. His compositions have been performed in the United States and in Europe. In 1966, Hiatt returned to playing steel string guitar. He performs on six, seven, and twelve string guitars employing a variety of altered tunings and unconventional playing techniques. He has written over 80 works of music including chamber music, electronic music, and orchestral pieces. His compositions have been performed in the United States and in Europe. In 1966, Hiatt returned to playing steel string guitar. He performs on six, seven, and twelve string guitars employing a variety of altered tunings and unconventional playing techniques.